Pukaha Mount Bruce, National Wildlife Centre, Masterton, Wairarapa. Information, Photos and Reviews. Set in 940 hectares of forest, Pukaha is on State Highway 2, half way between Napier and Wellington right at the heart of the Classic New Zealand Wine Trail. 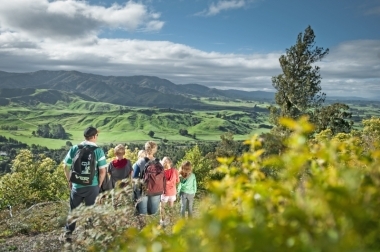 A perfect and special stop off point to learn about New Zealand’s very special environment. At Pukaha, we are dedicated to restoring the forest and protecting and nurturing endangered birds and animals – particularly kiwi, kokako, kaka and tuatara. Pukaha has a very successful breeding programme, and is home to the only white kiwi in captivity in the world, Manukura. Available 11am & 2pm daily. The Pukaha guided tour is a fantastic way to experience and truly understand the important work that Pukaha does. A ranger will take you through the Kiwi House, including our special movie theatre, see our birds, and other animals. Hear the stories behind the birds and animals, their history, personalities, and quirks. A Pukaha Ranger will guide you on a 1 Hour Guided Tour and then will take you “Behind the Scenes” to give you a hands on experience of life at Pukaha. Visit the takahe and the Antipodes Island Parakeets in their aviaries. Feed the eels or prepare the food and feed the kaka. If a kiwi health check is taking place, you can be involved. Take a tour of the ‘staff only’ nursery area and maybe feed a juvenile tuatara. There’s always plenty going on behind the scenes at Pukaha! 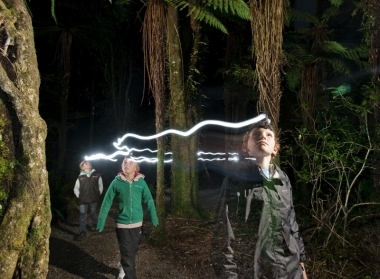 A Pukaha Ranger will take you on an amazing night time adventure. 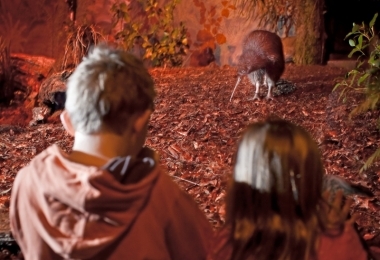 You can feed the eels in the dark, visit the glow worms and go in search of a kiwi in the wild. Time: The tour starts at around 6:00-7:30 pm. (seasonal variations) Availability: Saturday nights only or groups of 25 or more on request, rain or shine. Bookings must be made at least 48 hours in advance. 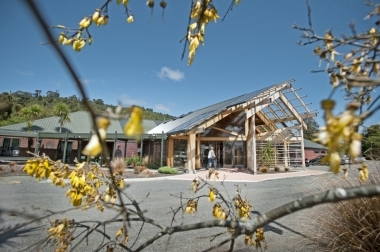 Nobody has reviewed Pukaha Mount Bruce, National Wildlife Centre yet, Be the first. You are submitting a booking enquiry. Pukaha Mount Bruce, National Wildlife Centre will then contact you by email with details of availability and prices.